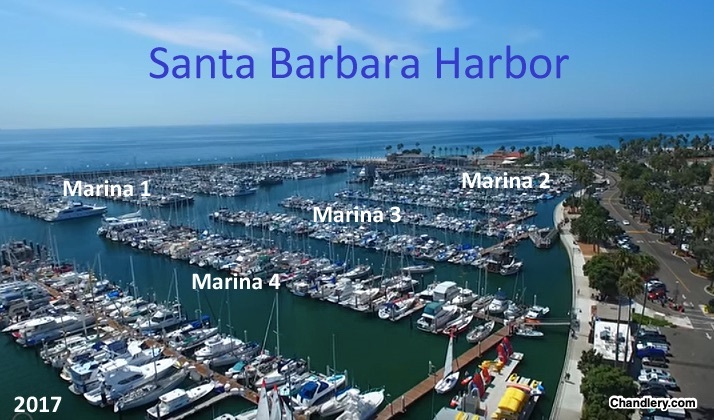 In Santa Barbara’s harbor, every boat slip is taken. If you want one for your yacht, it could take 200 years to get to the top of the wait list. Similarly, there is almost no chance that you will win the slip lottery. The one other possibility? Buy a boat that has a slip. For a hefty price, the slip can be a part of the sale. As the owner of the slips, the city of Santa Barbara leases them to boat owners. They did not have to lease them. They could have designed any distribution system. Instead, they decided that a leased slip can be sold with the boat that occupies it. It also can be transferred to a spouse or a partner. By pairing boats with slips, Santa Barbara sought an equitable way to give out a scarce resource. When someone cuts a birthday cake with different flavors, that person is trying to create a fair share for everyone. A fair share is also the goal for roommates who are deciding how to divide the rent. The problem though is that each of us has a different opinion about what is fair. With the cake, it can depend on what flavor we like. For the apartment, room preference makes a difference. Imagine, for example, a $2,000 a month rent for a 2-bedroom apartment for 2 roommates. One bedroom is large but has no closet. The other room is tiny and has the closet. How to split the rent fairly? A mathematician who researches “fair division” suggests that each roommate name two numbers that add up to $2000 as the appropriate rent for each room. As you might have surmised, we are talking about much more than boats, or cake, or the rent. A fair division of a limited resource takes us to how much government should redistribute wealth. It is about taxes and spending. And that takes us to John Stuart Mill (1806-1873). As an economist, Mill was torn between the merits of the market system and the precepts of utilitarianism. He believed demand, supply, and unfettered markets generated efficiency. Also though, he sought a utilitarian society in which happiness for every individual was maximized. John Stuart Mill was the first economist to separate production and distribution. A society’s production, he believed, was subject to certain immutable laws. Managed by the market, they are unchangeable. Distribution, though, was a different story. Returning to his utilitarian predilections, he said that you and I could decide who got what. After society collected taxes from those with more, government could redistribute them to the people who had less. Mill’s ideas about production and distribution take us back to Santa Barbara. Here too we have resources creating the limits. But then, distribution has many possibilities. Even Santa Barbara has tweaked its system. Now they are charging $500 per foot when a boat owner transfers the slip. With more money for the municipality, Santa Barbara’s solution is increasingly utilitarian. My sources and more: Thanks to Planet Money for introducing me to fair division in an interesting podcast. From there, I found this LA Times article with some Santa Barbara harbor history and this from a yacht broker. However my most interesting discovery was a discussion of fair division, a topic with few absolute economic answers. (Sorry, but I could not judge which was the best fair division link so please Google them as did I.) You also might enjoy reading more about J.S. Mill at econlib. Please note that sections of Our Bottom Line were in a past econlife post.